We do not here discuss the Beatles song, “P.S I Love You” (composed by Lennon/McCartney, more McCartney), fine though it is. 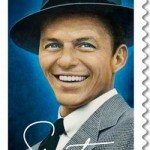 Fifteen years ago today, Frank Sinatra died, and it’s his version of the song “P.S. I Love You,” composed by Gordon Jenkins and Johnny Mercer, that is on my mind. 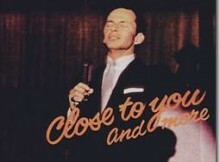 It is to be found on his album Close To You (and that’s not the Burt Bacharach song, although Frank did ultimately record that tune in leaner times). This “P.S. 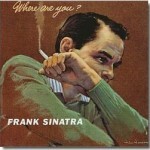 I Love You” was written in 1934, but it was in 1956 that Sinatra recorded it, on one of his most unusual and most superb albums. 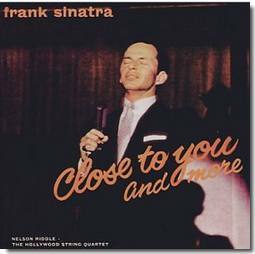 Sinatra worked on this album with a string quartet—Felix Slatkin’s Hollywood String Quartet—augmented here and there by a fifth instrumentalist. The resulting record is intimacy incarnate. Every note of every track declares that the effort is a labor of love. And indeed it wasn’t a big commercial success and remains relatively obscure. “P.S. I Love You” is perfectly representative of the mood of wistfulness, sensitivity and yearning that Sinatra, arranger Nelson Riddle and the string quartet were apparently aiming for, and which they achieved in spades. Sinatra’s voice was at an absolute peak when he recorded this album, and his vocal control and his expressiveness is breathtaking. He inhabits this song in the seemingly effortless manner that made him great; there is simply no space between the singer and the sentiment. And I love how that works in this particular song, because it gives us this delightful picture of the singer hanging out at loose ends, in a quiet little house in the country, wiling away the hours and the days so harmlessly while his beloved is off traveling somewhere. Yesterday there was some rain … the Browns came to call; please write to them when you can … I’m in bed each night by nine … the dishes are piled in the sink …. Who can imagine the Chairman of the Board living such a twee existence? And yet somehow there’s no imagination necessary when Sinatra sings all of this. Not a syllable of it can be doubted. His performance is so perfect that it ceases to seem like “performance” at all; it is simply straightforward expression, albeit on some sublime musical level. “And let me see … I guess that’s all.” Johnny Mercer’s faux-conversational lines were written long before Sinatra was on the scene, but here find their perfect home in Frank’s gentle, unassuming delivery. It’s an understated masterpiece of popular music. 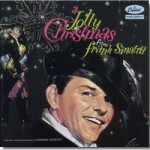 And just one of the very substantial number of recorded masterpieces that Frank left to us. Today, I guess, is a good day to say “thank you” to him and, if it be your wont, to his Creator.